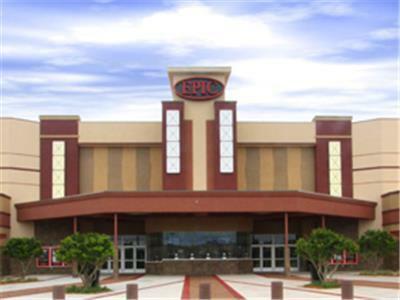 EPIC Theatres is a privately held motion picture theatre company based in Central Florida. EPIC currently operates 81 screens, at 7 sites. In 2013 the company embarked on a second expansion program and will be announcing the addition of more than 60 screens. SWISS 26 is a villa 3 Beds / 3 Baths / Pool / Jacuzzi . (Please for this unit you must choose if you want the Jacuzzi OR the pool heated) . This newly renovated house, decorated with modern and comfortable furniture, WiFi, AC and its beautiful location on Lake Stephanie lets guests feel they are in paradise! This villa has spacious rooms, large mosquito net covered patio and jacuzzi together with its private pool and luscious green garden with various fruit trees, is a great place to relax and rejuvenate. Sit by the pool and enjoy a relaxing sunset over Lake Stephanie! This villa does not have a BBQ rental option. 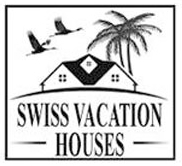 Welcome to Swiss Vacation Houses website and thank you for your interest in our piece of paradise. Whether you are a keen water-sports enthusiast or just looking for a beautiful place to relax or golf, we have something for you. 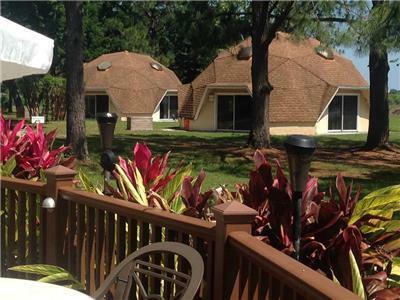 Located 30 to 40 minutes from the Orlando attractions, our complex is set on 450 beautiful acres. Be active on the water, golf course or tennis court; cycle, walk, chill out by the pool or head to one of the many area attractions. The choice is yours. Stay onsite in one of our fully equipped villas or a ski school room (basic) or visit us for the day. We are a world renowned site and welcome guests from many countries, from the local area and many of the fifty states, all returning year after year. They have discovered our piece of paradise and we hope to welcome you soon. If you are traveling alone or as a pair and are looking for something more affordable perhaps consider staying in one of our rooms on site. Each room is a modest abode with a private en suite bathroom. The rooms are located right by one of our most beautiful lakes and offer guest very peaceful surroundings. SWISS 101 is a villa 3 Beds / 3 Baths / Pool / Jacuzzi (Please for this unit you must choose if you want the Jacuzzi rental – at an extra cost) . This villa is a paradise where nature, peace and luxury combine! 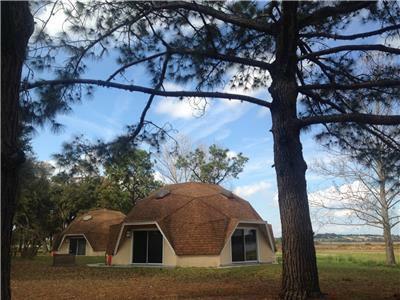 Villa 101 is the only villa available for rent by Olsen Lake, a magnificent natural lake with a rich wildlife such as Sandhill Crane, Raccoon and Armadillos. Our pedal boat comes with the house and is yours for discovering the beauty of Olsen Lake and its inhabitants! But you can also enjoy the view from the fully renovated overflow pool, the protected veranda or the master suite soaking tub if you prefer! Our villa accommodating up to 8 people thanks to its extra mezzanine – has plenty of sun from morning to evening with wonderful sunsets on the lake. The spacious patio with sun deck chairs and side tables by the pool with attached Jacuzzi or inside the Lanai with a big dining table, gas and charcoal barbeques will make you never want to leave again! Decorated with light colors, beautiful furniture, spacious leather sofa and various pieces of art, the interior of the house is also perfect for rainy days or fresher evenings! One of the rooms has a beautiful view on the garden, the others on the lake and the pool. The kitchen is fully equipped with various kitchen utensils, dish washer, oven and a brand new fridge with plenty of space in case you want to prepare a special meal. Of course, the house has also a powerful Wi-Fi! If you are looking for calm and nature, but in an exclusive and spacious villa, this should be your pick! SWISS 38 is a basic villa with 3 Bed rooms / 3 Baths. It has a pool (no heater option). SWISS 56 is a villa 4 Beds / 4 Baths / Pool / No Pool Heater / No Jacuzzi . Located on the Waterski resort and its 4 ski lakes surrounded by an 18-hole golf course, this spacious villa 56, located on Lake Denise with a magnificent view on the lake and golf, is furnished to a high standard, fully air conditioned, a monitored alarm system and provides a living room, dining area, a fully fitted kitchen equipped with dishwasher, microwave, refrigerator, electric stove and everything you need to cook. 4 bedrooms with double master suites, with their private bathroom, 1 with shower and bath and the other with a double shower, 1 king bed, 3 queen beds. There is 3 large bathrooms in total. All bedrooms have linen, towels, hangers and blankets. There is also a patio with a large dining table, an indoor lounge with armchairs and chaises lounge, a gas barbecue grill rental – at an extra cost and a private swimming pool under screen. Each room has its own TV and its DVD player, in addition to those in the living room and in the patio with multi channel cable package. Wireless internet access in villa. Laundry facilities (a washer & separate dryer) in the double car garage. Publix and Walmart Super Center are minutes away and about 30 minutes from Universal Studio, Disney World and Orlando’s Airport. So, if you want to go water skiing, golfing, biking or relax, Villa 56 is definitely the best place to be ! SWISS 66 is a villa 3 Beds / 3 Baths / Pool / Jacuzzi (This unit is the only villa that can heat both the Jacuzzi & the Pool – at an extra cost ) . 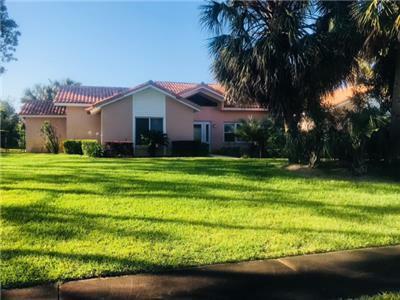 Home with an over sized lanai in a beautiful tropical garden facing a waterski lake that accommodated the 2003 World Championship. Light and bright interiors with high ceilings and beautiful view of the lake and garden. The lanai with Jacuzzi, fountain and comfortable furniture invites you to spend relaxing hours outside. At the pool area with large deck, shower and chaise sun lounges you can enjoy swimming in a heated pool and relax in the sun. 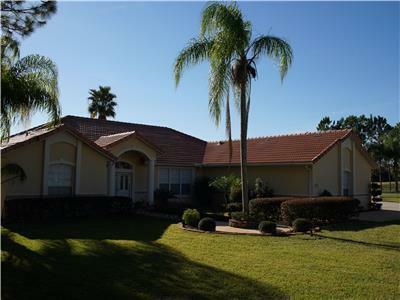 This beautiful home is situated in a gated resort offering waterski on 5 private lakes, 18 hole golf course, tennis and a restaurant. 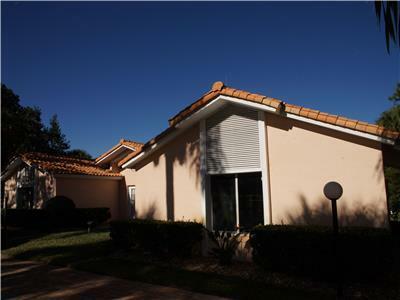 All houses have large lots and beautiful gardens which ensures total privacy. 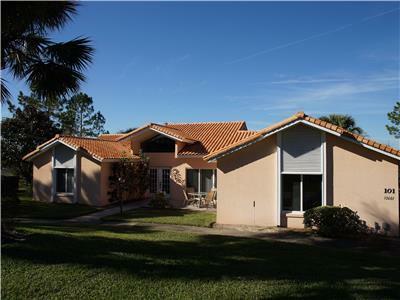 Besides enjoying all the amenities of the house and the resort there is much more to do and see in Central Florida. Orlando with its fabulous attractions, restaurants and great shopping is not far away. Beaches are 1 hour away and the tropical forest starts close. SWISS 15 is a villa 3 Beds / 3 Bathswith a pool (no pool heater – jacuzzi unavailable). This villa has a large open pool with a view of Lake Stéphanie. This is a recently renovated home; light and bright interiors. It features modern and comfortable furniture. Facing the lake, you can enjoy beautiful sunset views from the covered screened patio, or from the gazebo by the lake edge. While having breakfast you may see birds, cranes and plenty of nature. The pool area has a large deck, shower and sun chairs, directly accessible from the Master bedroom/bathroom. You can swim and relax in the sun, in privacy. The large living area boasts comfortable sofas, a 55” LED HD TV, DVD player, Audio/CD player and a powerful Wireless router. A modern fully equipped kitchen with lake and garden view allows an easy going life style for everyone. 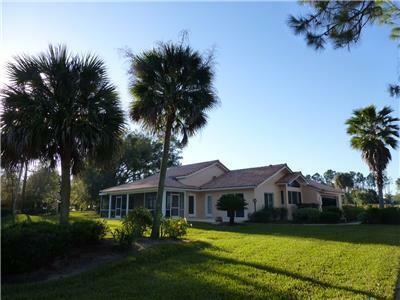 This beautiful home is located in a gated resort offering water skiing on 5 private lakes, 18 hole golf course, and a tennis court. Besides enjoying all the amenities of the house and the resort there is much more to do and see in Central Florida. 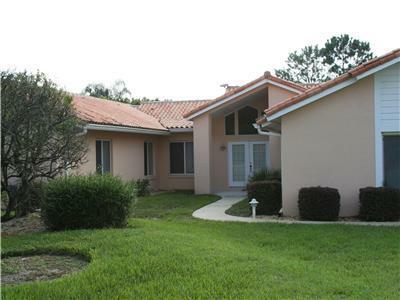 Orlando with its fabulous attractions, restaurants and great shopping Outlets is not far away. Beaches are less than two hours away !!! Founded in 2003, EPIC Theatres is operated by third and fourth generation exhibitors whose family built their first theatre in 1947. The management and staff of EPIC Theatres are proud to be a part of the exhibition industry. Epic Theatres is dedicated to providing the ultimate movie going experience in state-of-the-art theatres by properly exhibiting movies and events in well maintained facilities. Thank you for visiting our site and Epic Theatres looks forward to serving you.